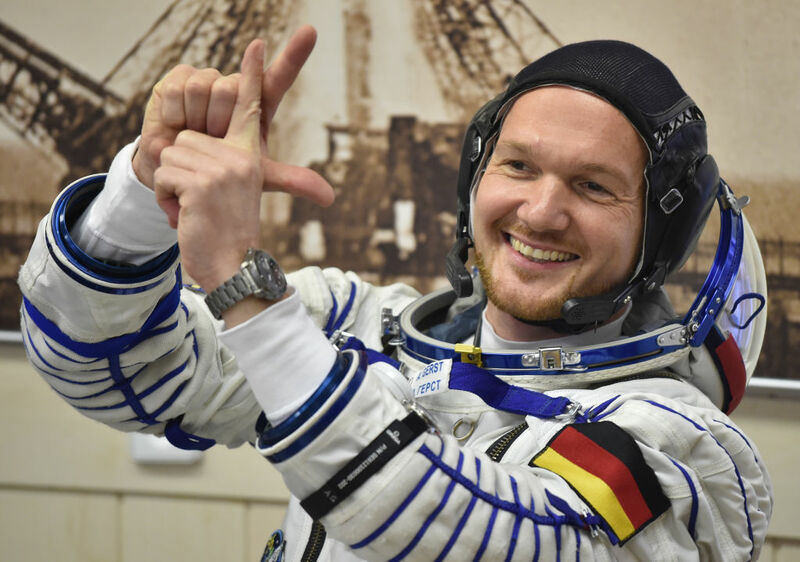 In this AP/WISN news item Air leak at International Space Station temporarily plugged by a thumb they show a file photo of German astronaut Alexander Gerst at the Baikonur cosmodrome, making what looks like a gesture with his two hands, possibly forming the letter "K". Question: What does it mean? Are there many hand signals used on the ISS? Is there a standard reference for such? It's unlikely that the crew he is working with knows German - they are more likely to communicate in English than in Russian, but both are more likely than his mother-tongue. If we had this as a video clip, I believe we would see him make an O shape immediatly beforehand. Not the answer you're looking for? Browse other questions tagged iss communication astronauts baikonur-cosmodrome or ask your own question. Who is the unnamed astronaut in this uncredited photo used in commercial promotional material? Where is the “antenna farm” from which this Soyuz launch photo was taken?